When cost engineers and quantity surveyors join forces, their combined skills and training can deliver formidable cost estimating and planning services. That’s the focus of WTP’s Infrastructure Group. We provide cost engineering services, which help both public and private sector clients achieve optimum project outcomes. Our input is invaluable from the earliest stage of the project. Our detailed understanding of costs for civil and infrastructure works provides invaluable information when assessing feasibility. This coupled with reliable cost estimating and post contract services mitigates significant cost overruns and costly variations. Cost engineering should be an integral part of any robust risk management process. Our team helps clients to identify and define areas of potential exposure and implement strategies, minimising outturn costs without sacrificing value. Our estimating and cost planning techniques are value and risk management driven. Our aim is to optimise the capital works budget rather than solely minimise cost. This methodology ensures unnecessary costs are eliminated and delivers the best value within agreed budget parameters. Current market conditions and dynamic client requirements are focusing on positive cost controls on projects, rather than reactive cost reporting. To meet this need, we provide a flexible, innovative and highly professional service. We provide realistic and comprehensive cost advice on all aspects of the project, from the earliest feasibility stages, strategic, concept and detailed design phases through to construction completion. Our cost reporting methodology is specifically designed to help clients make decisions on an informed basis. Our cost estimates are prepared in a format to suit each client’s requirements and they are prepared with comprehensive descriptions, identifiable measurement and rate build-up and where required benchmarked and referenced to other appropriate projects. 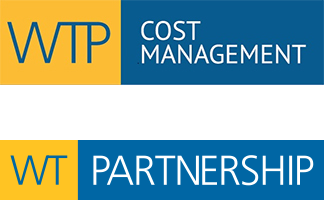 We are able to analyse a projects Capex and Opex costs allocated over the lifetime of the asset. We can assist in achieving the optimum Capex and Opex split by Value Engineering the designs throughout the project. Understanding and evaluating tender qualifications prior to contract award reduces exposure during the post contract delivery phase of the project. These negotiations and discussions often form the basis for the ongoing cost management of the project. Generating a thorough understanding of the works completed and costs incurred creates the base for the cost to complete calculation. An accurate cost to complete ensures the funding of a project is understood, and decisions made accordingly. The risk register should be a live document that is continually updated throughout the project to identify inherent and contingent risks and their likely cost impacts. The risk register should not only identify risks, but also opportunities. The costs associated with risk should be incorporated into the forecast total cost as a contingency item. Our probabilistic risk estimating techniques provide comprehensive and well-considered contingency sums. Evaluation of any variations allows the project team to value engineer decisions to obtain a best for project result. It allows accurate monthly cost reporting and a better understanding of outturn costs to be achieved. Ensuring that the actual works and variations constructed are certified correctly for accurate project financial reporting. Earned Value Analysis and the comparison of actual costs versus budgeted cost and planned versus actual progress can be used as a management tool to identify budget and programme issues.